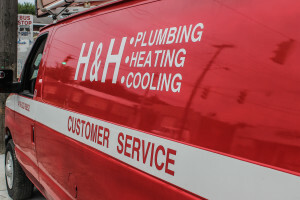 When looking to hire a local Heating, Cooling, or Plumbing Contractor rest assured that H & H is the best local choice for prompt service, a professional job, and decades of experience to ensure you get the customer experience you have been looking for. We have been serving homes and businesses in the Shelby, Ohio since the inception of our business and are proud to continue our services to this beautiful community. The Dlesk family and our H & H team has been the passion behind our company since 1959. What makes our company great are the small details and commitment to customer service that we have to offer our customers. We are able to service any make or model, we sell only the best brand of product, we have technicians who are experienced and professional, and we have a staff that will personally answer the phone and make your needs a priority in our day! Give us a call today to schedule your service request! 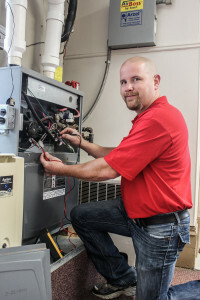 Experienced Heating or HVAC Contractor helping Shelby, Ohio. Our years of experience make us a confident choice for any of your household or business cooling needs. Leak Repair: Fixtures, Outside Hydrants, Faucets, Toilets, Drain Lines, Under Slab, Kitchen & Bath. Gas Line: Leak Detection, Gas Line Repair, Gas Line Install, Exterior gas fixtures like propane grills and lamps. We are a preferred dealer of Armstrong products for your heating and cooling needs. This means that we have upheld a standard higher than others who sell the products and we are among the first dealers to get new products, warranty information updates, and have products in stock to support any warranty requests should they happen you will get a prompt service visit! Other products that we have stood by for years and have stood by us are Rheem, Aprilaire, Moen, Bradford White, Honeywell, and Mitsubishi Electric. Ask us about our warranties today.H & H is your expert Heating, Cooling, and Plumbing Company in Shelby, Ohio.